The UK's fastest growing innovative Black theatre company which not only presents some of the newest works by Britain's Black professional writers but also brings together some of the greatest minds from Britain's Black literary and theatrical world. Established to celebrate and promote Britain’s most talented writers this exciting company was the brain child of playwright/ singer/ songwriter JB Rose who elicited the help and expertise of the highly respected Director/Actress Angela Michaels. Tell Tarra exploded onto the theatrical scene in 2004 and has fast become renowned for its Writers' Festivals, showcases, networking events and high quality theatre productions. 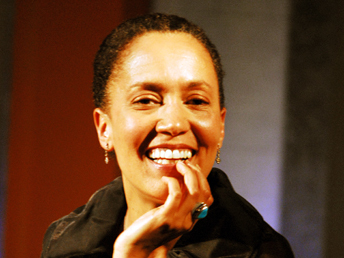 JB Rose is the co-founder and joint Director of Tell Tarra Theatre. Out‘ (a situation comedy) and BBC 2’ drama, ‘Brothers & Sisters’. In 2004 Halfmoon Young People’s Theatre commissioned JB to write the 50-minute children’s play ‘Rukia’s World’. JB’s play ‘King of The Castle’ was read at the first Tell Tarra event December 2004. 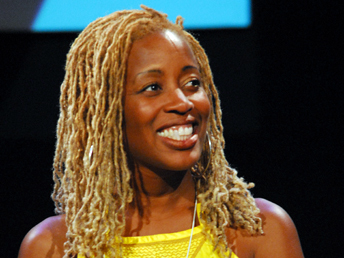 In 2005 she wrote another a play for Halfmoon Theatre called ‘Tagged’, directed by Angela Michaels and has also completed writing a piece for Immediate Theatre for their Black History month showcase in October 2007. In September 2006 JB was writer in resident at Charter School in Southwark and is currently working on commission for Second Wave Centre for Youth Arts based in Deptford. Kwame Kwei-Armah and The Next Big Thing by JB Rose . Angela is also Associate Director at Half Moon, forwhich she has directed critically acclaimed national tours of Locked In (2006 and 2008) and We Are Shadows - both by award-winning writer Fin Kennedy. Most recently she took on the challenge of directing the devising of a non-verbal physical theatre piece, The Magical Adventures of Spud and Plum, for Half Moon’s Early Years Festival, “Exchange for Change”. Her interest in physical theatre has also been supported by David Glass in her own piece, Charting the Journey at Chisenhale Dance Space. This year Angela has also curated Buskin Boy for a tour by the dance artist Sean Graham and directed a staged reading of Identity by Paul Morris (winner of the ‘Adopt a Playwright’ award) at the Tristan Bates Theatre. Angela passionately believes in theatre as an art-form that not only inspires but also provokes thought and debate.